Earth’s Edge are in store Tuesday 13th February to talk about the newest addition to their catalogue. 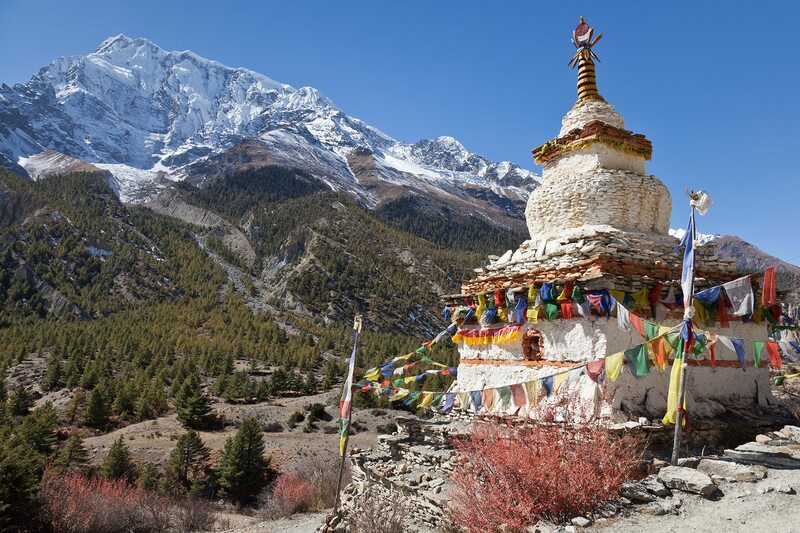 The Annapurna Sanctuary trek is ideal for those who have a moderate level of fitness and want to experience trekking in Nepal and the Himalayas. Earth’s Edge offer a 15 day itinerary including 10 days of trekking along a stunning route where we pass quaint villages, irrigated paddy fields, waterfalls, huge glaciers and giant peaks. We stop and sleep in tea houses along the route, where you get to meet friendly locals and experience the Nepalese way of life and culture. The highlight of the trek for most people is the night we spend in Annapurna Base Camp (4,130m). Located in a stunning amphitheatre of giant peaks, the area is steeped in climbing history. Annapurna was the first of the world’s fourteen 8,000m peaks to be climbed in 1950 by French climbers Maurice Herzog and Louis Lachena. 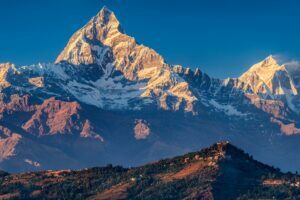 As well as 10 stunning days of trekking in the Annapurna Sanctuary, you have free time for exploring and shopping in both Pokhara and Kathmandu. Pokhara lies on an important old trading route between China and India, which until the end of the 60s was only accessible by foot. It is now one of the largest cities in Nepal and often referred to as the tourism capital of Nepal. Kathmandu is an ancient centre for trade and commerce as well as being the hub of Nepal’s history, art and culture. It is a city with many ethnic influences, dominated by both Buddhism and Hinduism. A true cultural melting pot.